Manila, Philippines - Yahoo Celebrity Awards 2014 organizers announce the full list of winners and awardees of the only fan-driven celebrity event in the country in the awards night held on Friday, July 18 at the SM Mall of Asia Arena, Pasay City. Yahoo Celebrity Awards (formerly OMG! Awards) honors Philippines’ celebrities from the fields of movies, music, radio and television, who are voted into the top ranks by their fans from across the world. Kapamilya star Kim Chiu bagged the 'Celebrity of the Year' award and was also named 'Actress of the Year'. Voting has ended last July 12, at 12nn with over 17.5 million aggregated votes from online and Kakao votes this year. This year's Celebrity Awards includes 140 nominees across 28 categories including Actress and Actor of the Year and the most coveted award, the Celebrity of the Year. Yahoo Philippines said that 10 new categories were added such as Celebrity Couple, Celebrity Family, Male and Female Hothletes, Band of the Year, Male and Female ‘Kontrabida’, Emerging Band, Song of the Year and Social Media Star. Performances from Kapamilya star Maja Salvador, GMA 7’s Elmo Magalona, band Spongecola and other surprises from the country’s top music stars spiced up the Philippines' biggest award-giving body powered by fans. 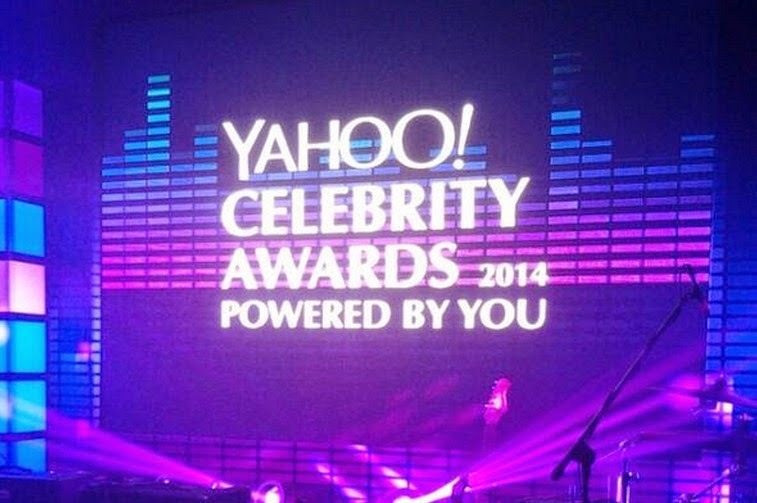 Yahoo Celebrity Awards 2014 was hosted by Kapamilya star Robi Domingo and Kapuso actress Maxene Magalona.